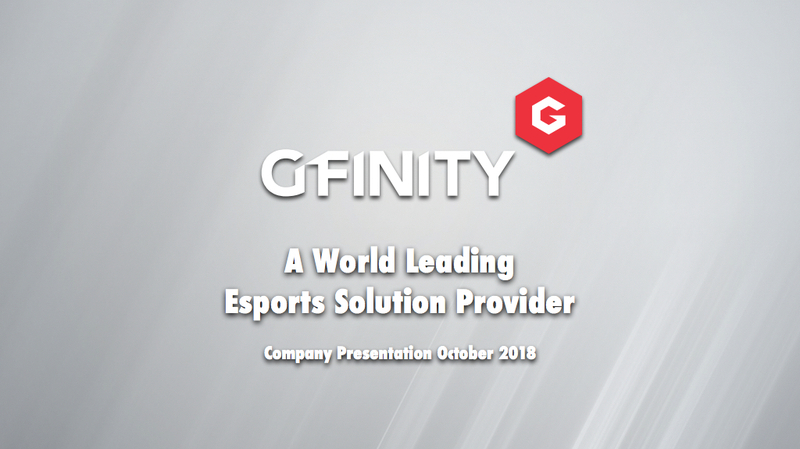 Gfinity is a world-leading esports solutions provider. 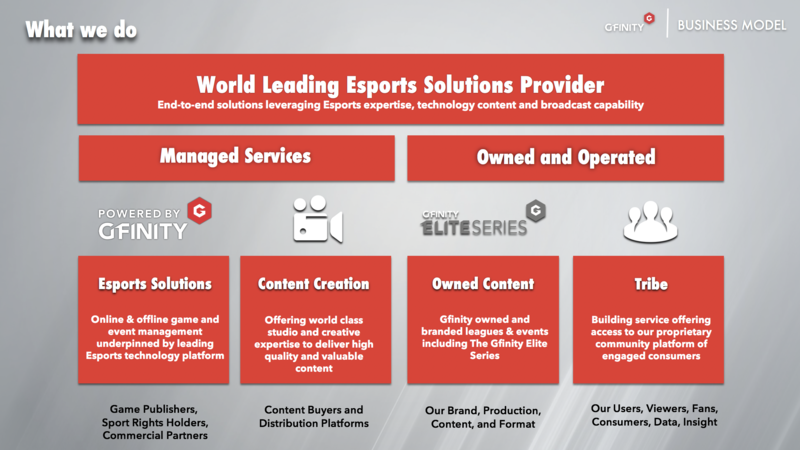 Its business to business platform, “Powered by Gfinity”, delivers managed services to game publishers, sports rights holders, commercial partners and media companies. Gfinity creates bespoke solutions, including competitions and industry leading content production, connecting partners with the esports community in authentic and innovative ways. Gfinity connects directly with competitive gaming consumers through its owned competition platform, the “Gfinity Elite Series”. The Series enables competitive gamers to be part of the Gfinity community, and provides a pathway for those who aspire to join a leading professional team. “Gfinity Elite Series” content is distributed through linear and digital channels and is enjoyed by tens of millions of esports fans around the world. Take a look at our company presentation to learn more about our business model and the size and scale of the market.